A creative instinct and talent for drawing & painting in early childhood marked the beginning of schooling in the traditional studio arts, leading to the pursuit of a major in Art Education at the University of South Alabama. 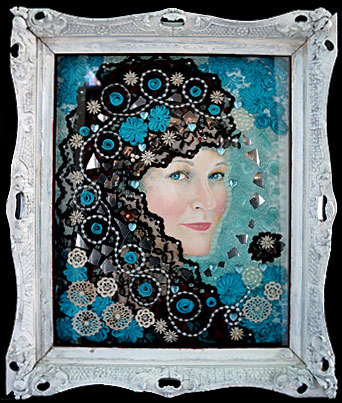 Inspired by folk art from many cultures, as well as “outsider art,” and utilizing a self-taught process, this work continues to evolve into unique one-of-a-kind mixed-media pieces created from a variety of found objects. Award-winning and collectible, these pieces are delightful, beautiful, and completely original.